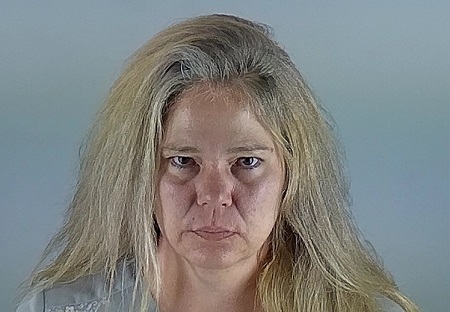 BEND, OR -- The Alfalfa woman accused of killing a cyclist over a year ago, was found guilty of first degree manslaughter. Prosecutors say Shantel Witt was driving under the influence when she drove her truck into a group of bicyclists on Dodds Road, December 30, 2017. Marika Stone, a local dentist and mother of two, died at the scene. Deschutes County District Attorney John Hummel says Witt chose a bench trial rather than have a jury hear her case, "This is a case where the defendant opted to have the judge make the decision on guilt or innocence." He tells KBND News, "We felt we delivered justice by presenting all the evidence, Once we rested, we felt justice was done, whatever the verdict would've been." On Friday, Judge Michael Adler found Witt guilty of all charges, "That was manslaughter in the first degree, one count of drugged driving, two counts of possession of a controlled substance, and two counts of recklessly endangering another person," says Hummel, "That was the verdict we asked for, and the Judge agreed with the legal arguments we made, and it's not going to bring back Dr. Marika Stone, but we feel that justice was done." Witt also plead guilty to possession of Oxycodone before her trial began. Witt returns to court for sentencing February 19. Hummel says she faces more than a decade in prison, "On the manslaughter in the first degree, there's a mandatory minimum sentence of 10 years. So, we'll be asking for that. But, then, the other charges, we have to decide what we're going to ask for for those crimes." Photo: Witt was re-booked in to the Deschutes County Jail Friday morning, following the guilty verdict.